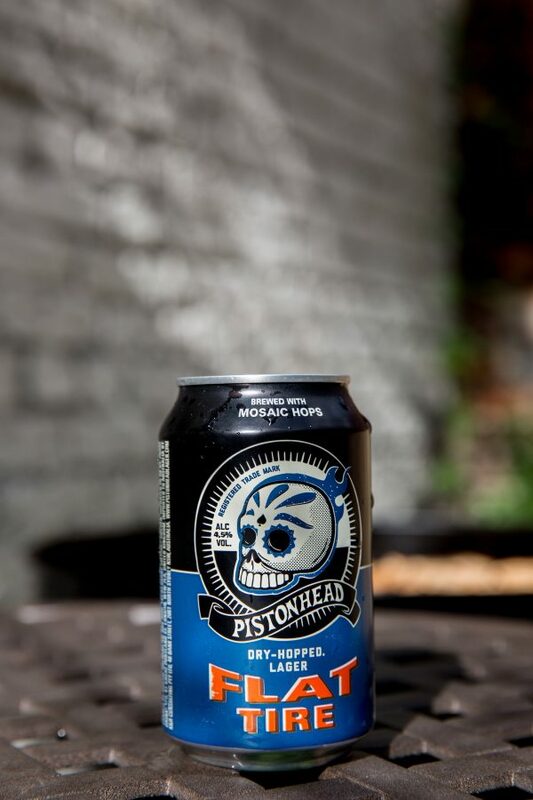 Founded in 2011, Pistonhead is produced by Brutal Brewing – created by Swedish brewery Spendrups. Established over 100 years ago, the family-run brewery has since become one of Northern Europe’s largest breweries, with over 1000 employees, producing upwards of 400 million litres of drinks for brands such as Norrland’s Gold, Mariestads and Heineken. A dry-hopped lager, Pistonhead Flat Tire is also available in a surprisingly serviceable non-alcoholic alternative. Both brewed with American Centennial and Mosaic hops, the fully-loaded 4.5 per cent ABV version has a bitter, citrus forward edge. On pour, the beer is hazy yellow, capped with a restrained white head. Hoppy citrus and grass aromas are noticeable alongside some feint cereal and caramel, plus some feint papaya. Citrus notes continue on the palate – namely lemon and grapefruit rind – alongside some resinous pine and light biscuit sweetness, complete with a light-medium body and pleasant bitterness which continues on the dry finish. Pistonhead Flat Tire is available as part of a mixed 6 pack in Tesco (£8) and Co-op, or online at proofdrinks.com. Further information on Pistonhead can be found here.